To many of us in Malaysia, using public toilets is a big NO! And quite rightly so, since many of them smell and look like garbage dumps, no pun intended. Some of the toilets here emit a stench so nauseating that it kills off any need to do your “business”. 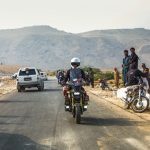 The toilets at petrol stations are exceptionally bad, especially during the holiday period recently, with the surge of users. 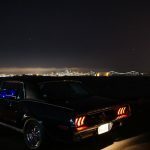 But petrol stations are now paying close attention to the overall customer experience: the service of the staff; food and beverage offerings; the convenience of ATM machines; and the TOILET EXPERIENCE. 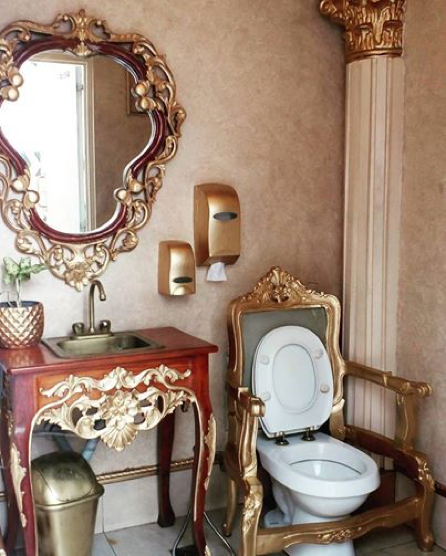 Shell made social media news with one of its toilets in the city of Tagbilaran, Bohol in the Philippines, which feature wood furniture, a bookshelf, and even a phone next to the toilet bowl. Now, a Petron gas station has gone one level up. 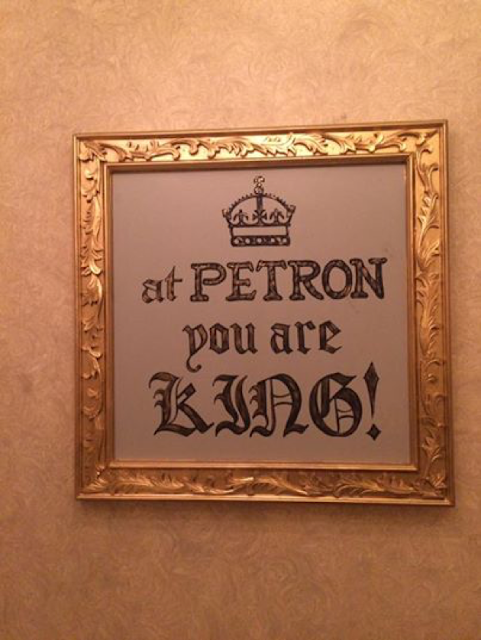 Located in Quezon, Philippines, it makes patrons feel welcomed, well, like royalty. It is decorated to look like a medieval throne room, with gilded walls, a gilded mirror and ceiling decorations. 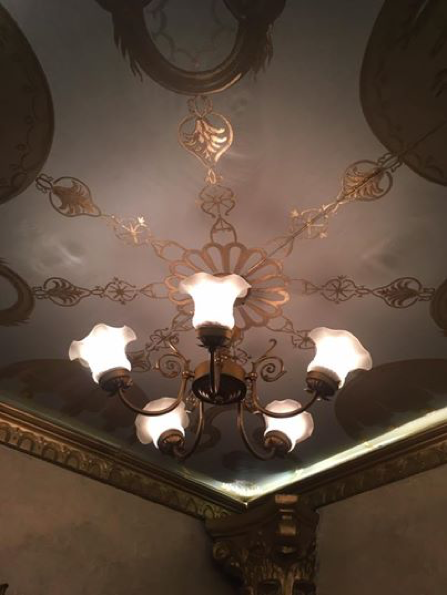 There is also a small chandelier, and even a wooden throne frame around the toilet bowl! 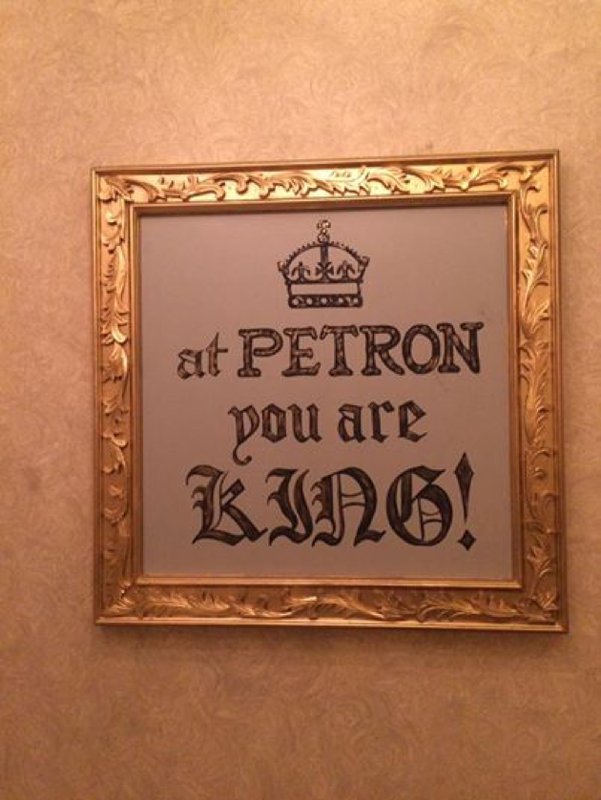 Hanging on the wall is a big sign with the inscription: “At Petron you are KING!”. So whenever you’re around the area, pop by to be treated like nobility. Let the Game of Thrones begin..